Lost for words with these stacks you're doing Laurie, I so wish I could have a life tutorial with you, you must move in nano meters for this, 20x is something I don't think I'll ever be able to tackle. Very nice set of images so far! And a really delicate beauty with many an attractive angle, as you have 2 wings please post me the other ;-). Stunning.... I found your images via a search on zerene web site. 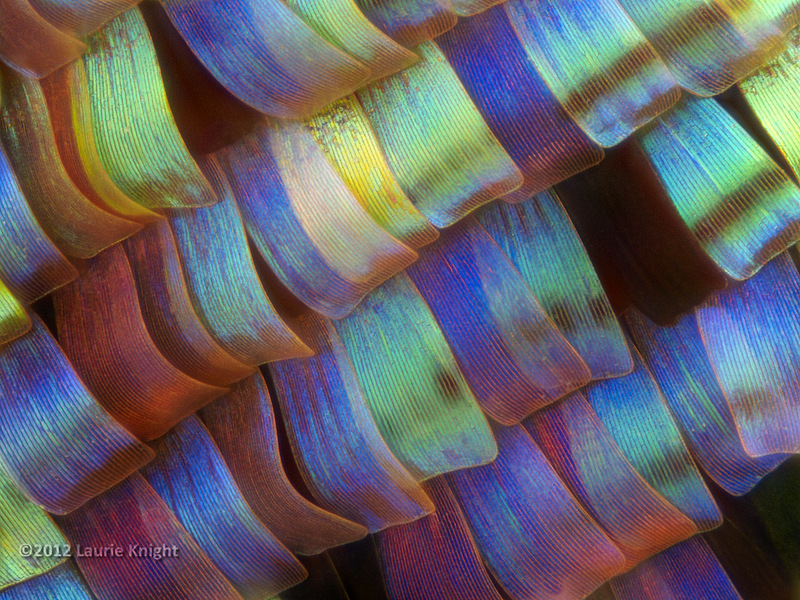 These super macro shots are amongst the most amazing and beautiful images I have ever seen. Macro is a passion of mine and am hoping to do more soon. Keep up your amazing work Laurie.